The Fort Builders use muscle and mental power, individual and communal strength; they make rules, break rules, argue, agree, build, and imagine. 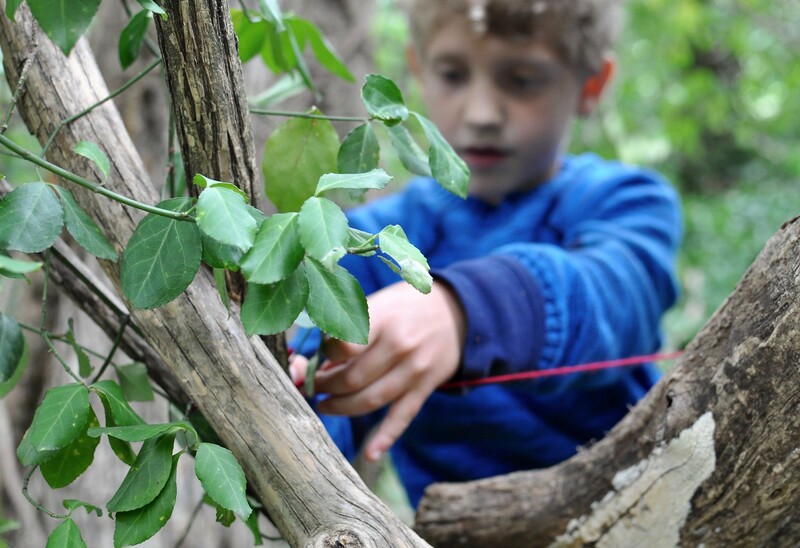 There is more involved than first meets the eye in building these forts – these spaces that children return to, build on to, and take pride in time and time again. 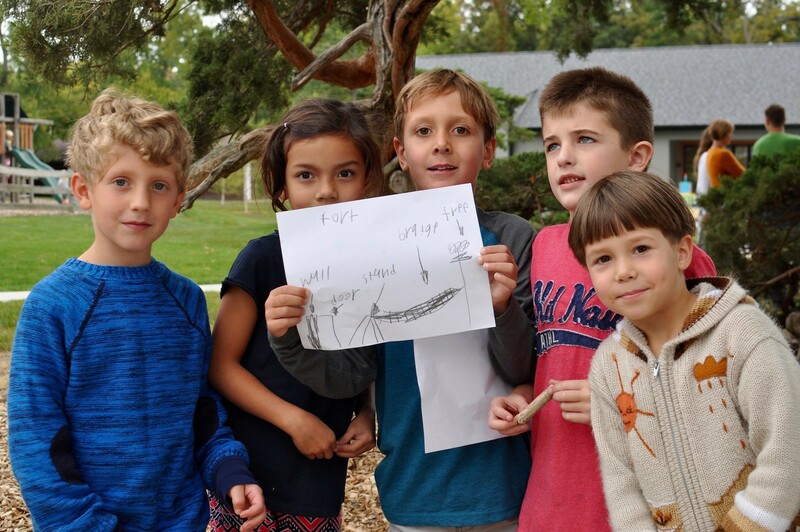 Below, a fort tour, and what is going on developmentally. 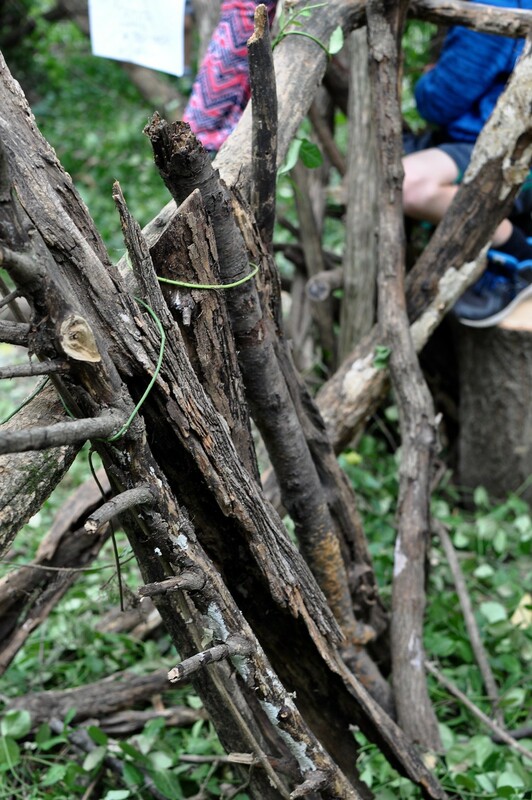 Why are children so obsessed with building forts? Read about this, and what do we do here at Villa di Maria to support them, below. 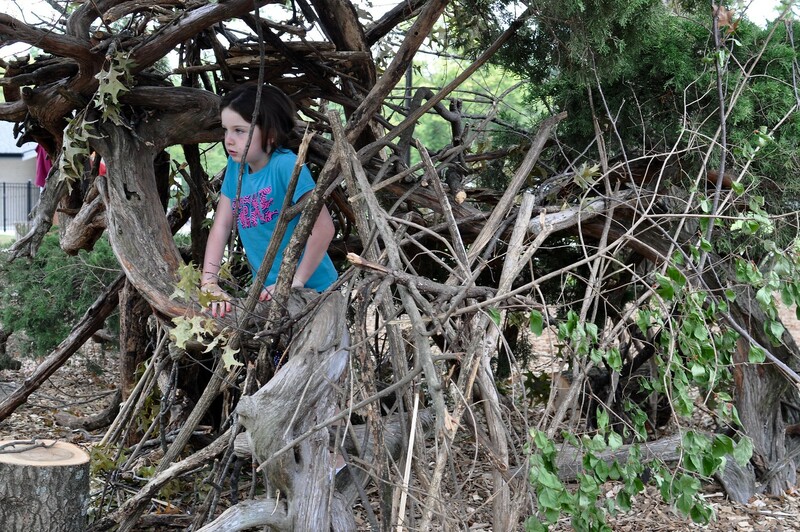 If you are a parent of a child here at Villa di Maria, you have probably noticed the progression of several forts over the past month. 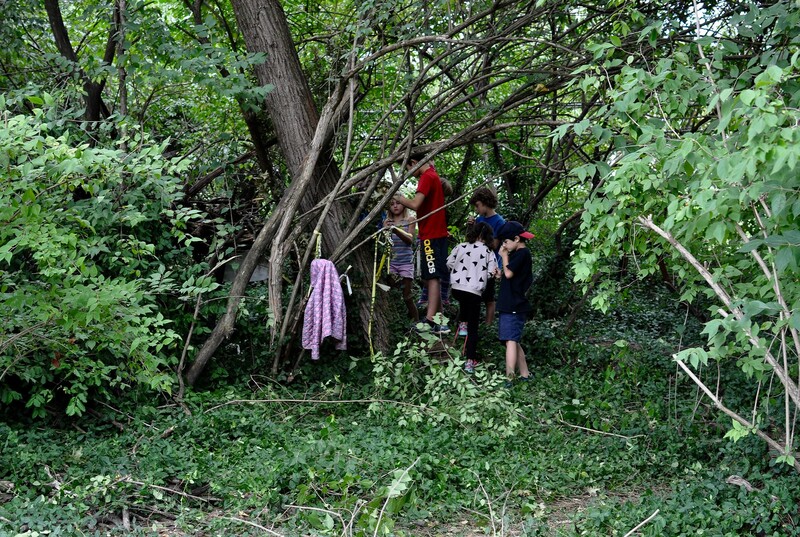 One, which is located just next to the driveway and Magic Circle, is hard to miss, but the others are located in the beloved woods just north of the playing fields where Elementary students gather every day during recess. 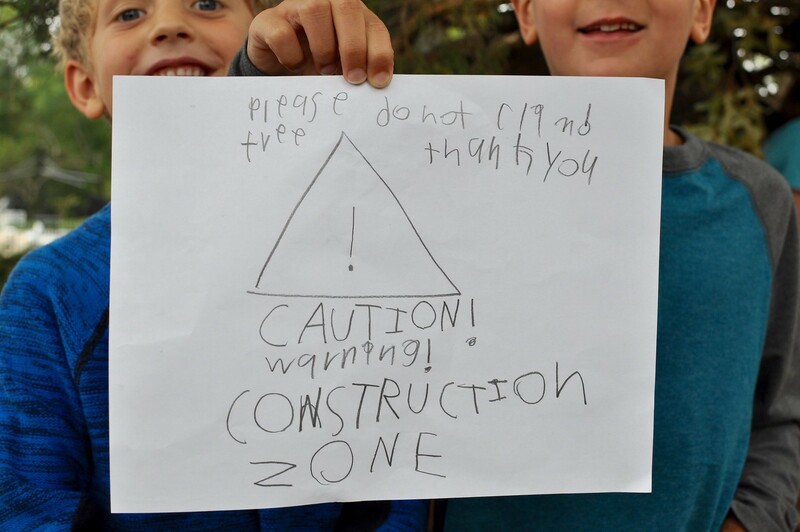 They return to these spaces over and over again, and work daily to add to their special places, sometimes planning inside the classroom for their additions. 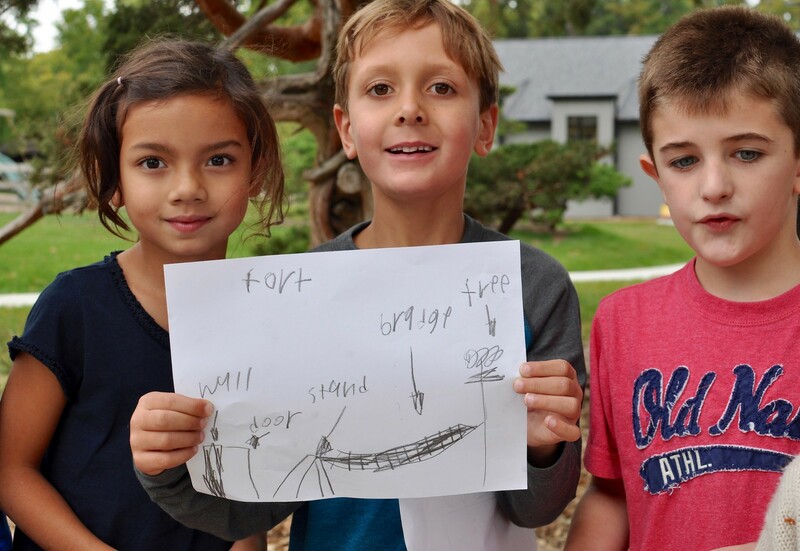 Since this photo, the children have actually managed to complete the bridge! 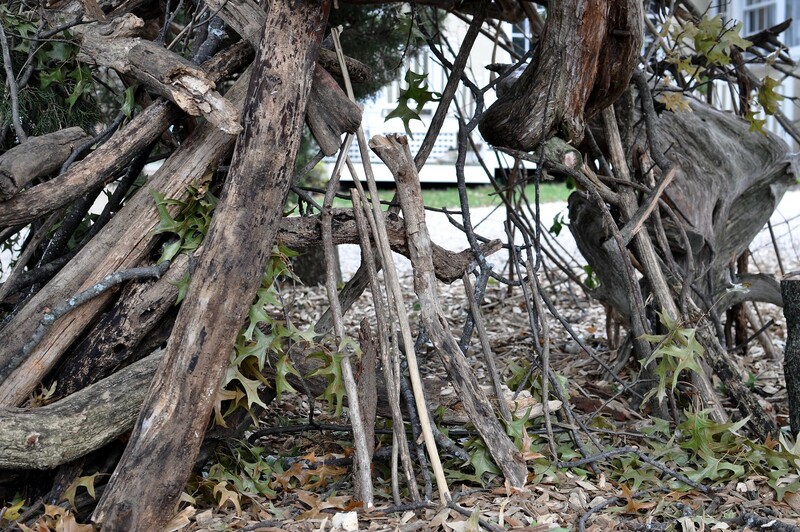 We acknowledge how meaningful fort-building is to children. 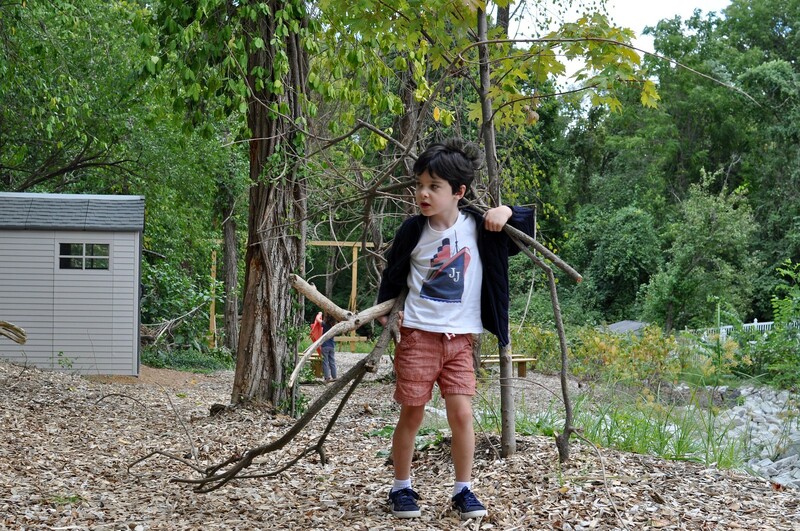 The youngest Primary children, who remain contained (for safety purposes) in a fenced-in playground, are provided with stumps and other loose-end materials with which to build. 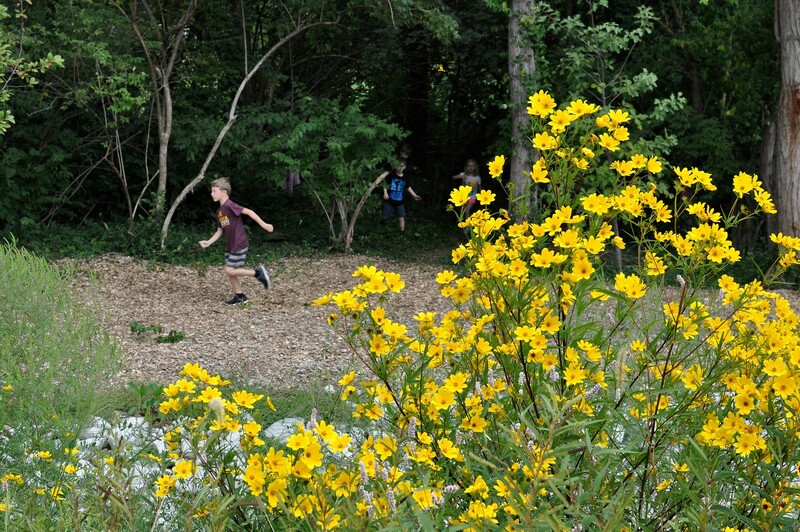 Once they are in Lower Elementary, children have a much wider range with which to roam, including portions of the woods found on the northeastern side of campus, just beyond the playing fields. 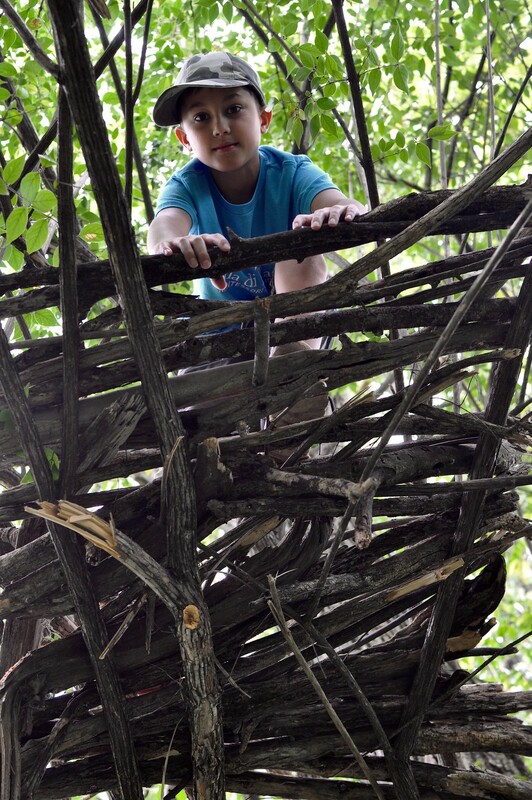 Visit this special place, and you will find children ranging in age from 6 to 12, working together in small groups or pairs to build forts. 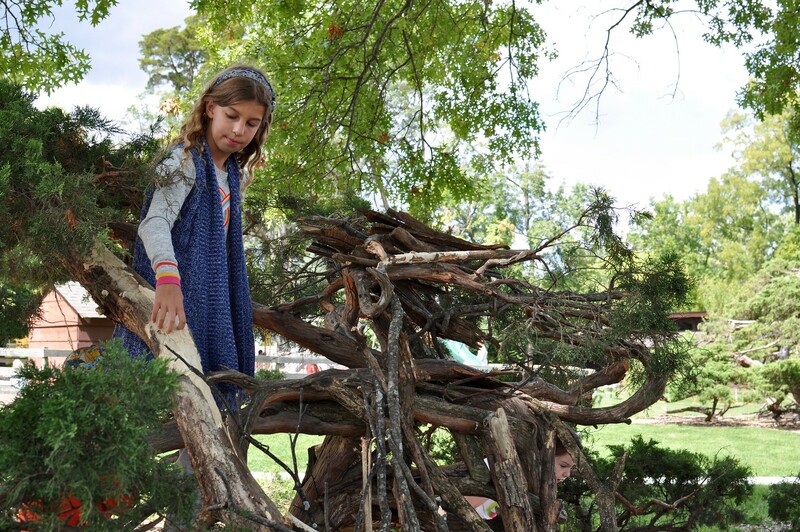 Developmentally, children of this age feel so inclined to build forts for two main reasons: they are figuring out the world around them, and they are seeking more independence. More concretely, a fort is, well, a fortress. 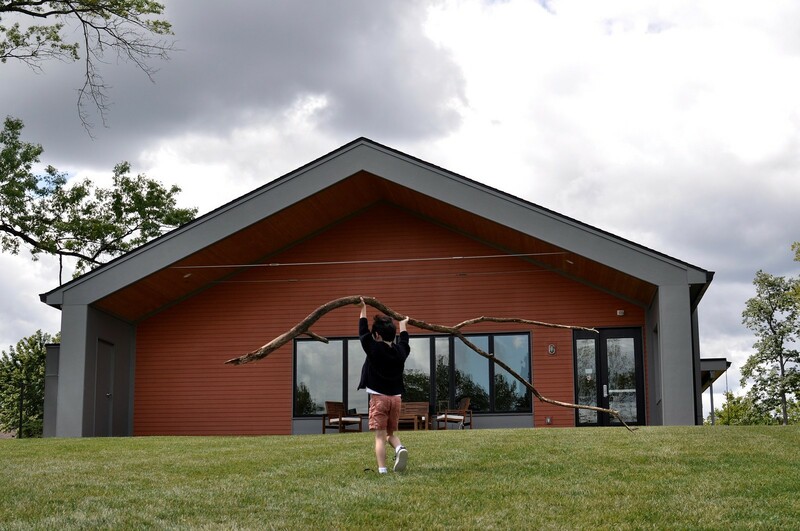 Such a structure is, “… literally and figuratively, a defense against all the forces of the outside world (and a primo place to daydream),” Paula Spencer Scott writes. There is so much thought, planning, work, and trial and error going on here. 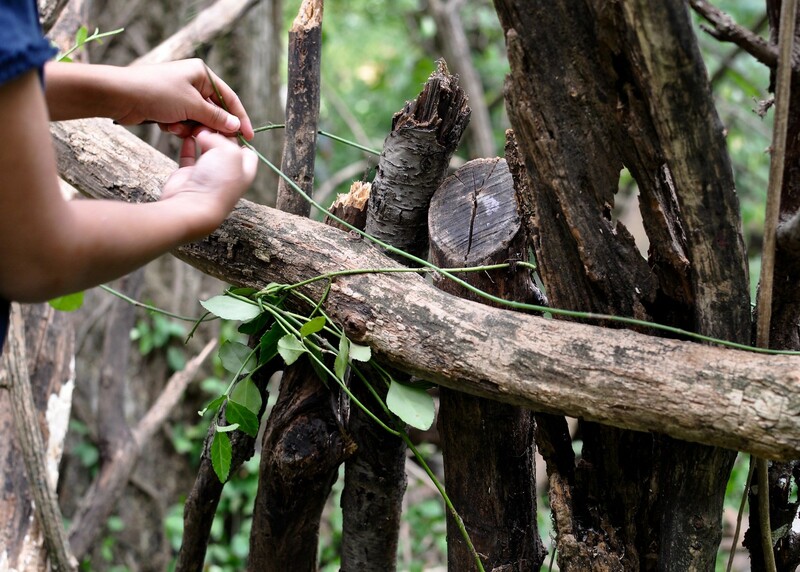 If you observe children building forts, you will see the choosing of a special place, the clearing out, the collecting of materials – the branches and sticks – the carrying, the transporting, the planning, the placing, the re-placing… it all takes time, energy, and lots of trial and error. Add in more friends, and it requires negotiation, compromise, and even conflict resolution. As with many things in childhood, the process is often the whole point. 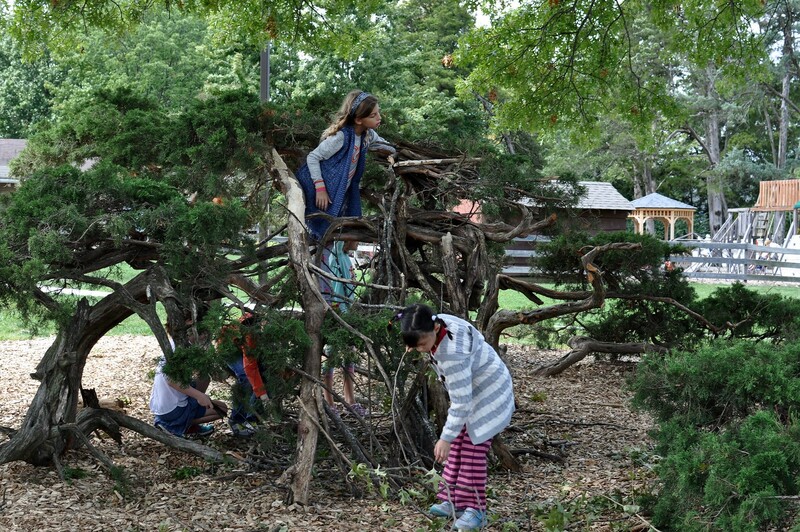 They may spend 95% of their time building the fort, and only 5% of the time actually playing in the fort! There’s plenty of pride that comes with finally finishing a fort! 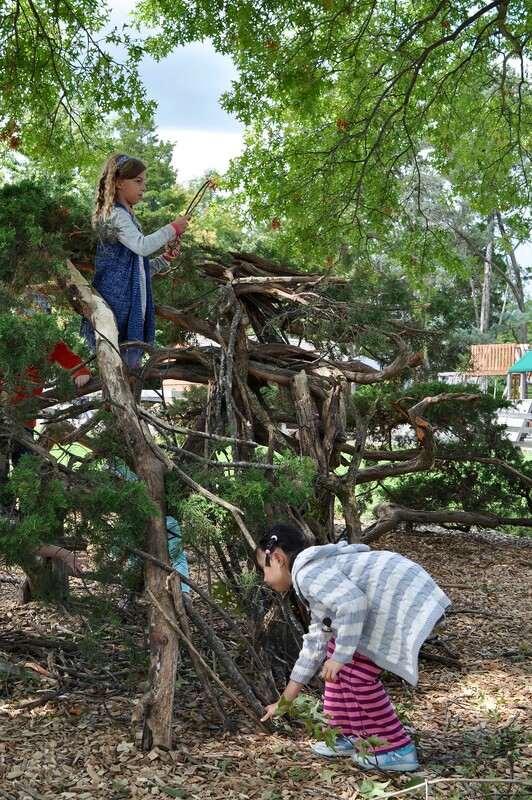 What do we do to support children’s fort-building here on campus? We give them space and freedom within limits. Staff station themselves in the woods, there are orange markers for boundaries, and “floaters” (staff who walk around during recess time) make sure children are staying within these boundaries. 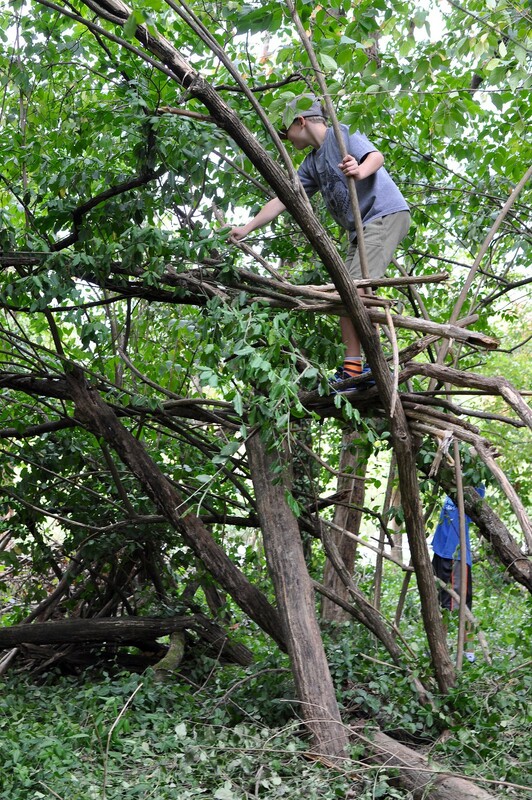 Other than that, children are pretty free to explore and build. There is also a good common sense rule to follow: do not build higher than two of yourself stacked one on top of the other! 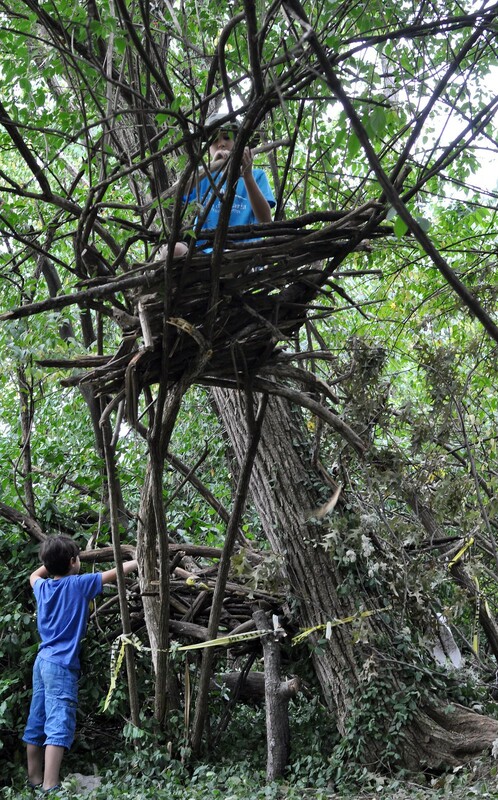 This does mean that smaller kids can’t always go up into a bigger kid’s fort, but it’s generally safer this way. We also provide them with some natural building materials. 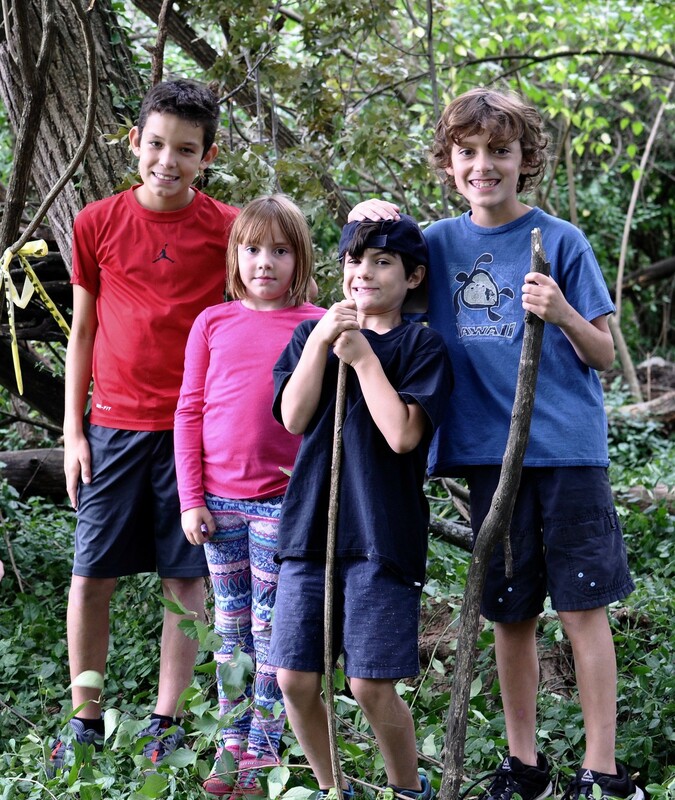 When a large branch fell from one of our older trees the night before the first day of school (perfect timing! 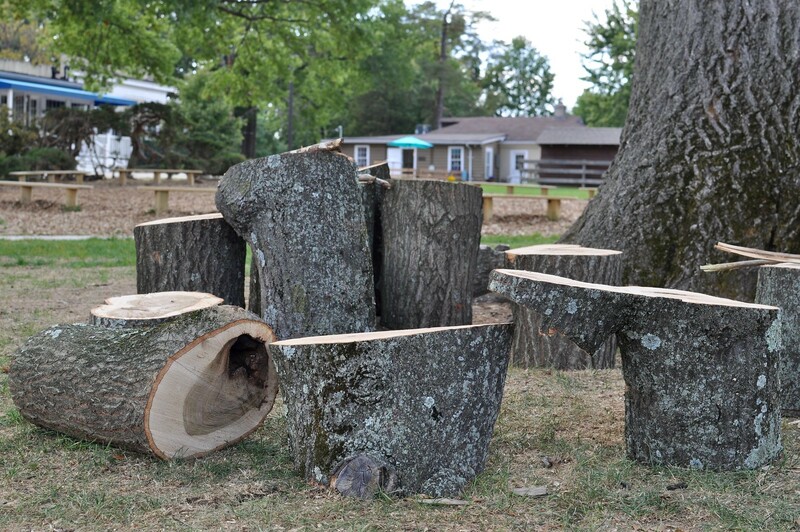 ), staff asked that some of the stumps be left behind for children to use for forts and anything they can imagine. 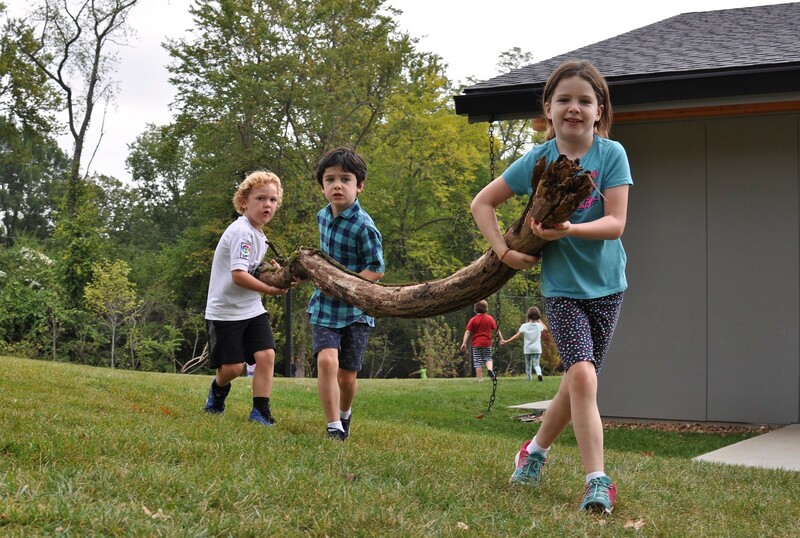 Usually these larger pieces of wood are used to outline boundaries of a fort or separate a space, but sometimes children build “stores,” rooms, tables for crushing berries, or use them for obstacle courses. 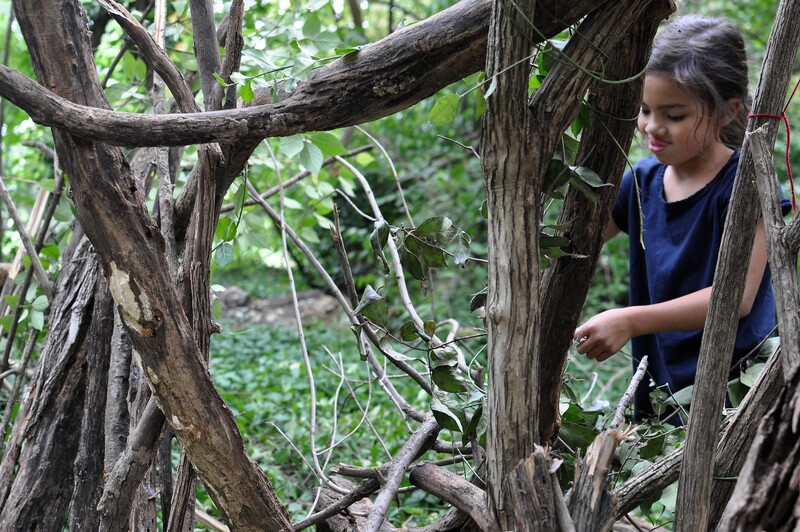 And of course, nature itself is the ultimate gift we allow our children access to every day. 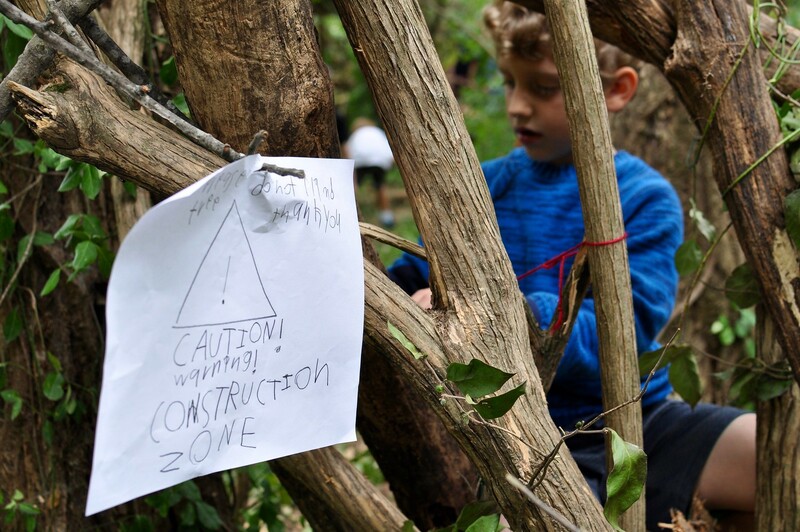 We are so thankful that, even through construction on campus last school year, tremendous care was taken to assure the favorite trees and spaces for forts were protected. 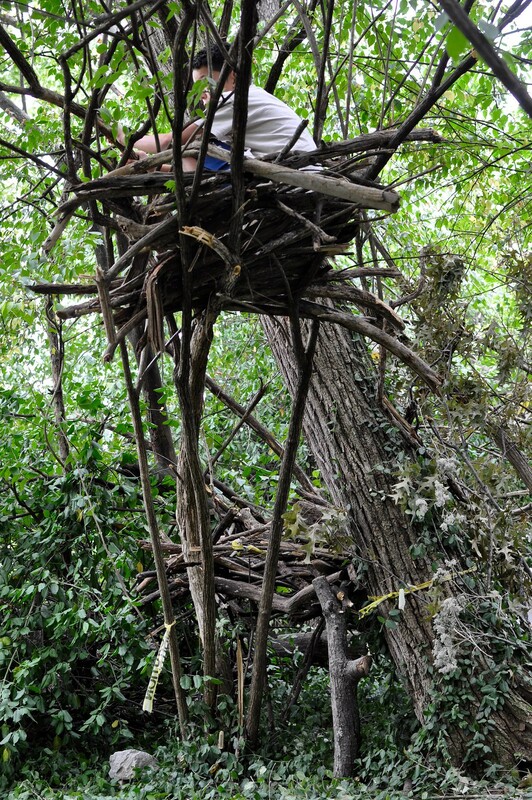 And for further inspiration, check out this amazing 3-minute video about Jayson Fann as he weaves, bends, and shapes eucalyptus and willow branches into incredible human-sized nests. Thank you to VdM Assistant Cristina Kerr for sharing!